New Blog! | My Life with Christ. This entry was posted in Life with Christ and tagged Christianity, college, girl, Jesus, life with christ, mary4christ, new blog, teenager. Bookmark the permalink. 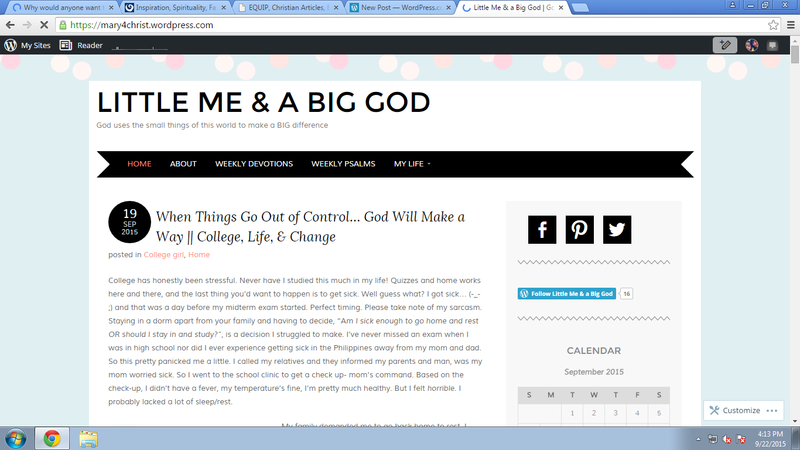 ← College & Updates on Life!